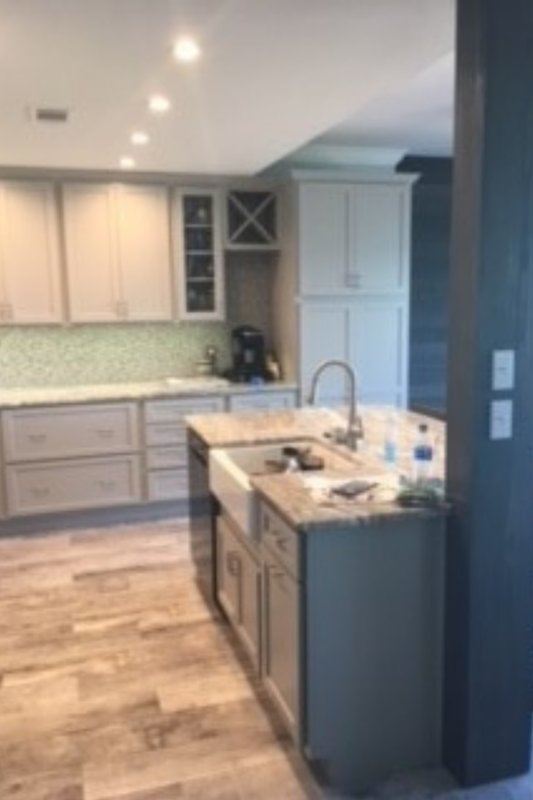 Look at this beautiful kitchen! 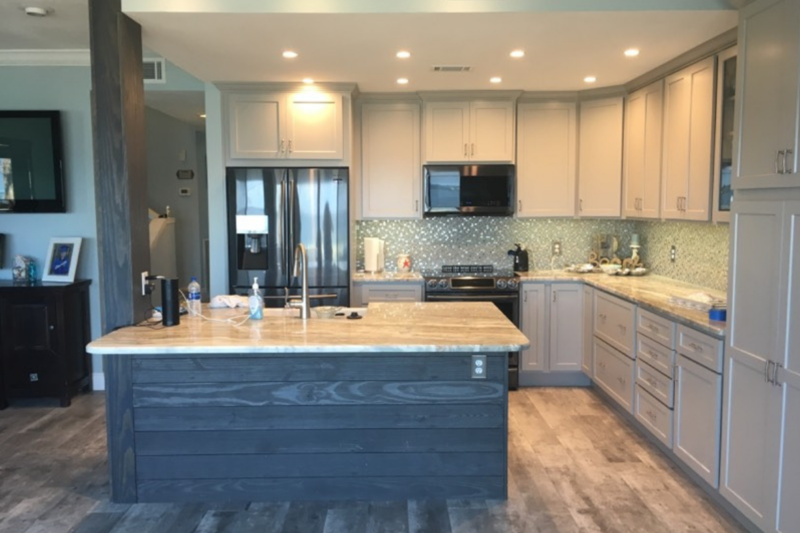 This kitchen is beautifully updated, with its pewter, shaker-style cabinets, seafoam green and steel back splash, Fantasy Brown marble counter tops, wood-look tile flooring, and grey shiplap on the island! 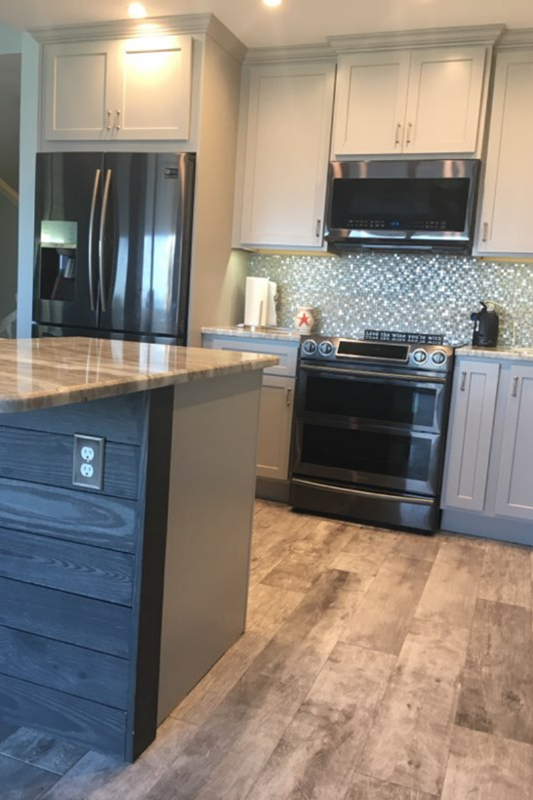 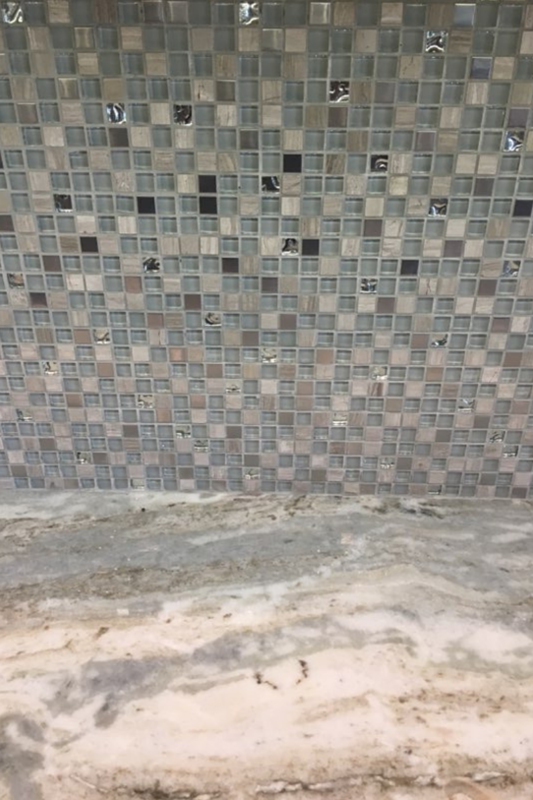 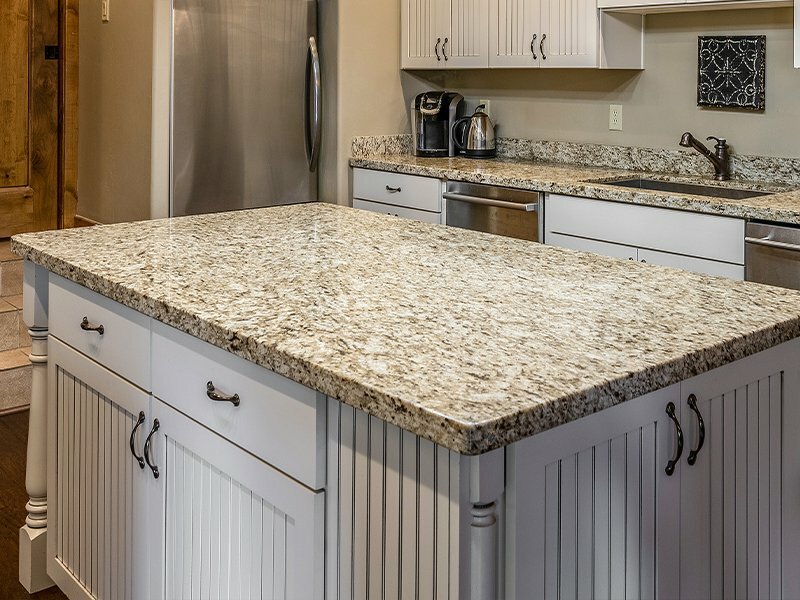 The grey, brown, cream, and seafoam green Fantasy Brown marble counter tops are beautifully accented by the Bati Orient mix steel and seafoam glass tile back splash. 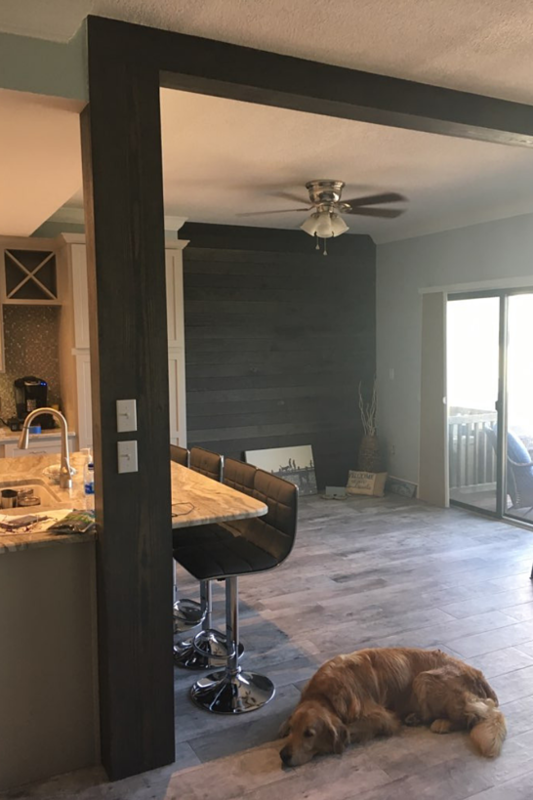 The Tru cabinets in Delmar door style with Pewter paint and Florida Tile Bleach Cellar 8 x 36 tile flooring complete the updated, refreshing look of this kitchen. 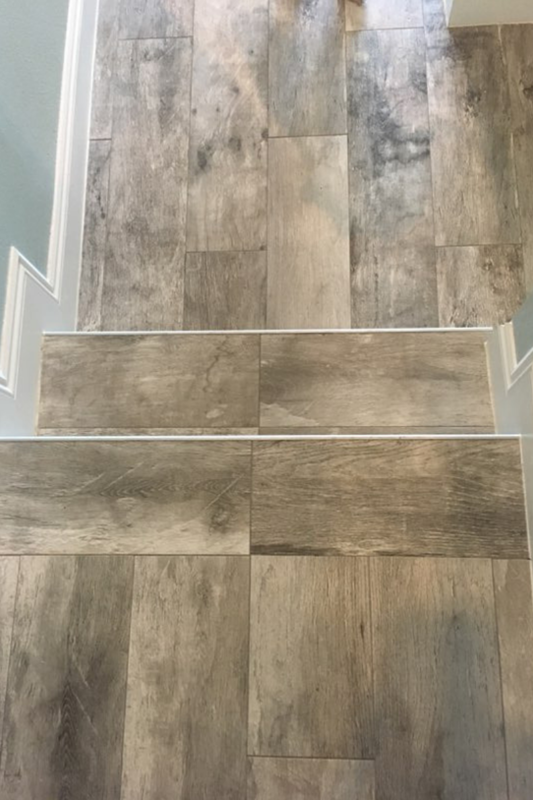 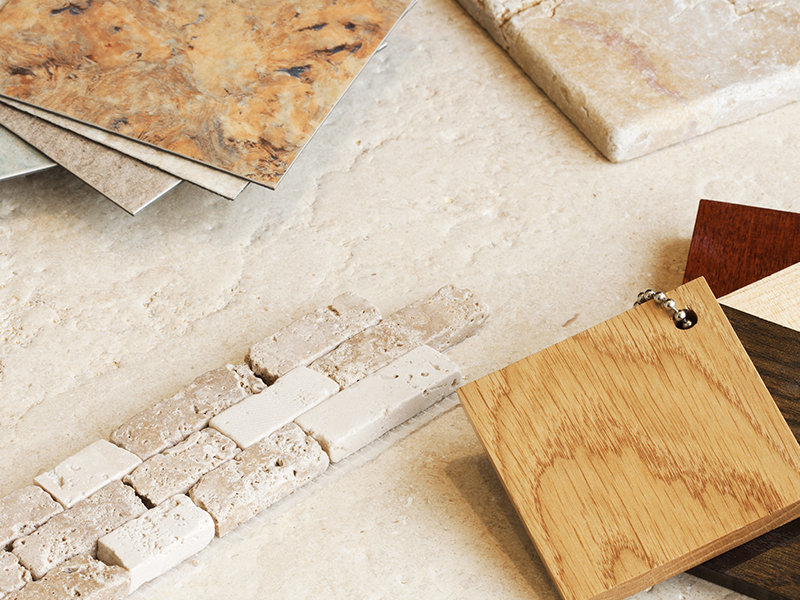 Contact us today or visit us in our showroom to get started on your remodel!